Traditional Thai Massage is one of the world's oldest healing modalities that used to be performed by Buddhist monks. Our loyalty program allows you to any free treatments after you have visited us 10 times. Deep Tissue helps relieve severe tension in the deeper layers of muscle and the connective tissue or fascia. A world of relaxation and relief awaits you at Tara Massage Therapy. 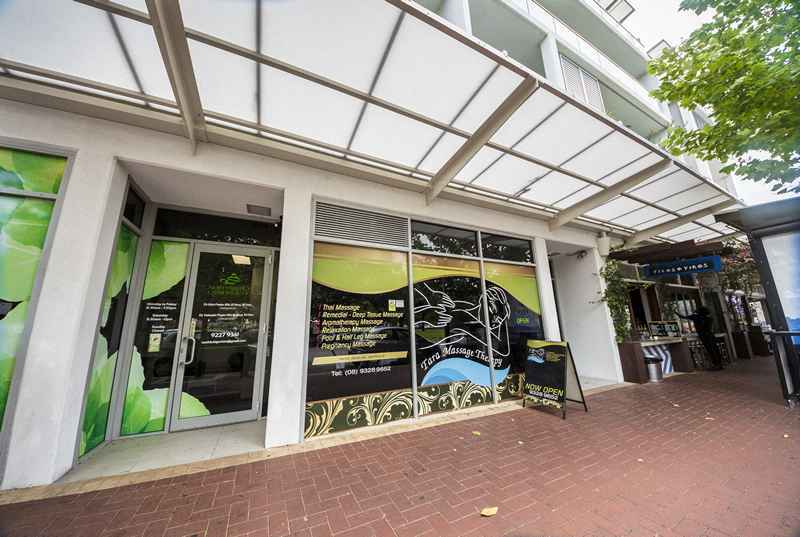 Our wellness centre, based accessibly in the Perth CBD, is a world-class therapy centre offering a variety of body massage treatments to suit any ailment or need. As the premium spa for massage therapy in Perth, we are proud to specialise in Remedial, Deep tissue and Thai massage treatments as well as other therapy alternatives such as couple’s massages, mums-to-be and even reflexology treatments. Our team of highly-trained massage therapists will get a detailed understanding of your medical history and needs when visiting our centre for the first time. She will then be able to tailor-make a massage session for you, offering you individualised service at every point. We even offer a loyalty programme for regular clients that use our services regularly too. If you are looking for a first-class full body massage in Perth, Tara Massage Therapy is the centre to assist you; we offer Perth’s best massage treatments by far. Contact us today to book your healing or relaxation treatment without delay. Remedial massage is a healing massage technique designed to bring relief to sore, painful muscles. Many clients seek remedial massage for the relief from muscular pain as a result of disease, pain, or age-related illnesses. Our qualified therapists are able to understand and pinpoint the pain centres, and use remedial massage to bring about healing and ultimate pain relief. This method of massage helps to relieve severe tension in the deeper layers of muscle and the connective tissue. Deep tissue massage is often recommended for individuals who experience constant pain, those involved in sports, and clients who have sustained physical injury. Deep tissue massage focuses on trigger points that may be causing local or referred pain in other parts of the body too. Whether it is simply to relax and reconnect as partners, or to spoil your Mom or best friend, enjoying a couple’s massage is a wonderful way to celebrate a special occasion or simply just for the sake of it. You will be able to each enjoy a massage by your own therapist in the same room where true reconnection and rejuvenation is absolutely guaranteed. This traditional form of Thai massage is one of the world’s oldest healing modalities. It combines ancient meridian pressure point therapy with stretching movements aimed at loosening tight muscles and inducing relief and relaxation. The qualified therapist will use her hands, elbows, knees and feet to adjust the body and massage the muscles. Pregnancy is a time of great change in the body, where both skin and muscles are under tension. The pregnancy massage is a specifically designed body massage therapy designed with the ultimate in comfort and safety in mind. Circulation to the body is stimulated and flowing, relaxing techniques are used to ease swelling and move tension out of the body. Designed to facilitate athletic recovery and enhance performance, this healing therapy is often used as part of recovery programme for athletes both pre- and post- event training. It is also used as a method of recovery and healing when injury occurs. Sports massage can reduce recovery time as well as prevent future injuries if regularly used. Tara Massage Therapy offers professional, highly-skilled staff who are trained in delivering a range of specialised massage therapy in Perth, for any client need.